Neckwreck is finally back in Mumbai after the #NowLoading series. 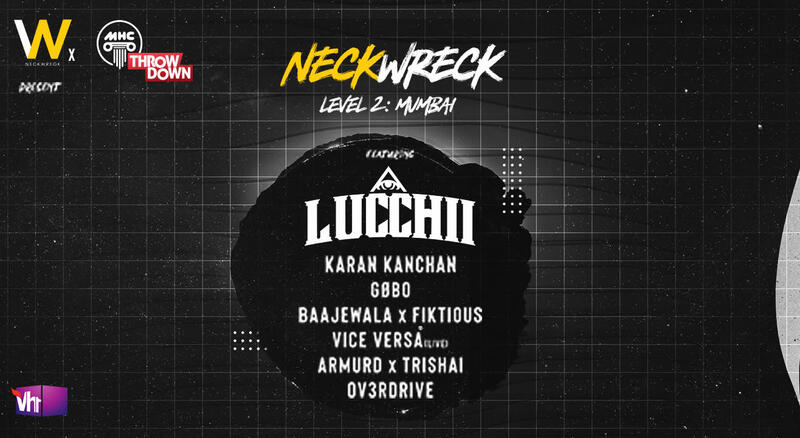 Get Your Necks ready for Neckwreck: Level 2 - #Mumbai Edition with with Music High Court! 5 hours of non-stop Bass Music from some of the finest homegrown Bass talent and the trap/bass underdog Lucchii - all the way from LA!